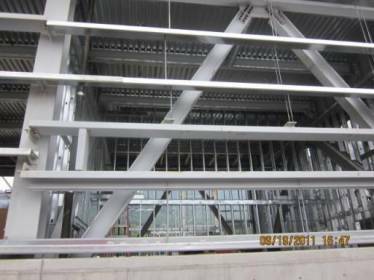 In July of 2011, the contractor who was constructing the new Assembly Hall & Production Center at the Ketchikan, Alaska shipyard facility needed to procure over 4,000 hot dip galvanized steel sag rods of various lengths. 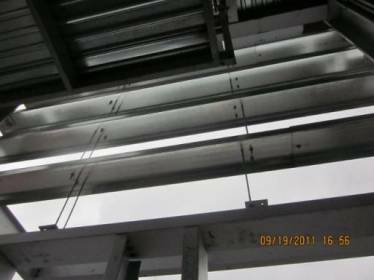 The contractor trusted Portland Bolt to manufacture these custom sag rod assemblies, as well as supply 4,500 galvanized structural bolt assemblies. 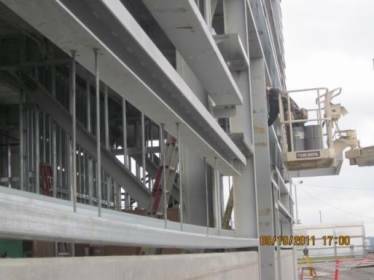 Like many Portland Bolt orders, this project was on a time critical delivery schedule, due to the logistical constraints involved with barge transport of the assemblies to Alaska. Because of these constraints, it was critical that the entire order be manufactured and shipped on time. As promised, the order shipped on time and allowed the contractor to keep the project on schedule. 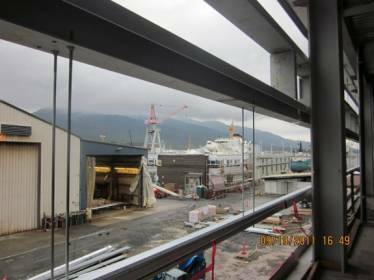 The project includes construction of a 70,000 square foot ship building facility. 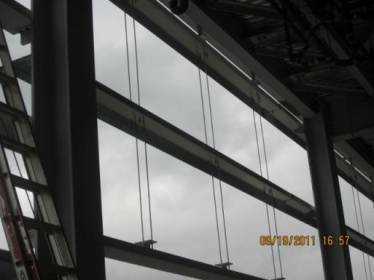 The facility consists of a large assembly floor measuring 250 feet by 94 feet with a ceiling height of nearly 110 feet. When completed it will be equipped with two 75 Ton elevated Gantry Cranes along with a 50 Ton Gantry Crane traveling at ground level. There will also be two floors of warehouse and fabrication space. The remaining 3 floors will be utilized for offices and support facilities.